I love finding these hidden gems in San Francisco. So typical of the city by the Bay. The last picture... I'm not sure I would have chosen it for a statue to display but that's why we all appreciate different things. They bring a smile to the face. What a nice plaza to have open to the public! Thanks for linking on Amanda's Books and More. Wishing you a lovely week. Those three made me smile! Love them! What a beautiful space, it would be nice to go there to get away from work for a while. How awesome, and what fun, quirky sculptures! I bet San Francisco is full of picturesque, unique spots. I love finding things that are a bit 'different'! Fabulous artworks! Well those last three were a bit wild and wonderful Patrick - I love all the interesting sculptures you find to share each week. I like that they are stylized sculptures, vs ultra realistic. That makes them have more personality in my mind. What interesting discoveries in San Fransisco! Those three statue heads for lack of better description, what are these? lol Thanks for sharing and linking up today, my friend. Have a purrrfectly pAwesome afternoon! I love the last three the very best. So unique. So neat! Love the metal sculptures. Oh, I want to go check that out. Where exactly is it? I've never seen it. What unusal sculptures, Patrick. It is lovely to see a green space within the CBD to relax from the hustle and bustle. Thanks for sharing with us at #MLSTL and have a great weekend. I love street art and sculptures! True and there all gems. I loved San Fran when my mom lived there. I loved visiting her from Florida. Great photos - and so many different things to see! haha the three are funny aren't they! I especially liked number 1. It looks like a really great place to sit and have a break and just reflect. Thank you for the recent comments on my blog too through #ABloggingGoodTime I hope you keep saying Hi to people even if they don't say it back they probably still thought that was nice someone notices them. Have a great week ahead. You find the coolest things to share! Thank you for sharing with us at Celebrate Your Story and have a great weekend. These are great. 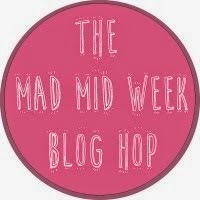 You get to see some amazing things :) Thanks for sharing at The Wednesday Blog Hop.